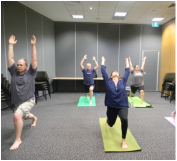 O﻿m Yoga Wellness Centre, Brisbane offers Hatha yoga & Meditation classes for all ages and fitness levels. Our yoga classes range from deeply relaxing to very challenging and energizing. Our philosophy is to create an environment that is warm, inviting, encouraging and uplifting to the participants. Om Yoga Wellness Centre, Brisbane is a friendly, laid back studio with a committed group of practitioners from all levels and backgrounds. Our down to earth, relaxed crowd creates a warm and cozy community vibe. Our Classes are fun, friendly and welcoming. 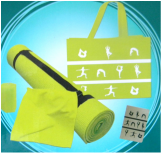 We frequently offer "Absolute Beginner" and "Meditation" yoga series that run for 4/5 weeks, and are a great way to learn the basics in a small class setting. We are centrally located in Western Suburbs of Brisbane: servicing clientèle from Seventeen Mile Rocks, Sinnamon Park, Darra, Durack, Jamboree Heights, Jindalee, Mt.Ommaney, Westlake, River hills, Middle Park, Oxley, Corinda, Sumner Park, Chapel Hill, Kenmore, Fig Tree Pocket, Indooroopilly, Forest lake, St. Lucia, Toowong, Milton and Paddington.